We often take modern medicine for granted. People just assume that if they get sick they can go to their nearest hospital and expect to be treated and released within a reasonable amount of time. We forget how primitive medicine has been for most of human history. 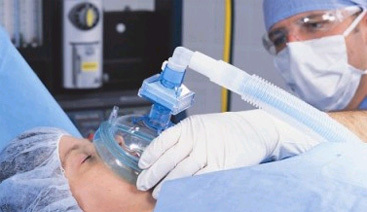 Anesthesia is frequently not even the main concern of patients when they come for surgery. They have zillions of questions for the surgeons but the only thing they want to know from the anesthesiologist is if they will be completely asleep for the procedure. If it wasn't for Michael Jackson's notorious death from propofol, most people would have no inkling of what anesthesia is. However, there is a reason that anesthesia was voted the most important advancement in the history of medicine by the readers of the New England Journal of Medicine, which means just about every significant physician in the world. We forget how agonizing, harrowing, horrifying, horrific, was the suffering of patients who had been through surgery. People would prefer to die than to go under the knife. Anesthesiology News has a story of the written accounts of people who had to suffer through surgery without anesthesia (membership required). Reading them will give one the chills and make you thank your preferred deity that you live in an age where anesthesia is readily available. George Wilson, a chemistry lecturer at the Royal College of Surgeons in Edinburgh, Scotland had to undergo a Syme foot amputation in 1843 by Dr. Syme himself. He described the agony as, "Suffering so great as I underwent cannot be expressed in words, and thus fortunately cannot be recalled. The particular pangs are now forgotten, but the black whirlwind of emotion, the horror of great darkness, and the sense of desertion by God and man, bordering close on despair...I can never forget..."
The great evolutionist Charles Darwin attended medical school at the University of Edinburgh in 1825. He was present at two surgeries, including one of a child. But he was too traumatized by the experience and had to leave before they were finished. He said he was "haunted" by the experience for a long time. Michael Furnell, who trained at London's St. Bartholomew Hospital in 1846 described the case of a young girl who suffered severe burn injuries resulting in contractures of her neck, making it difficult for her to eat. After she consented to surgery, she was tied down to the operating table, "but before many minutes of the operation had elapsed, her cries and entreaties to be untied and allowed to remain as she was were the most frightful that can be imagined. As the operation, which was necessarily a lengthy and slow one, proceeded, her cries became more terrible; first one then another student fainted." These and other first person tales would probably deter most students today from going into medicine if they had to witness them in person. The suffering that patients had to endure for the slimmest chance of survival is unimaginable in today's world. So as we give thanks this holiday season for all we have, let's not forget the advancement that has allowed medicine to move beyond the Victorian age, the modern miracle of anesthesia.